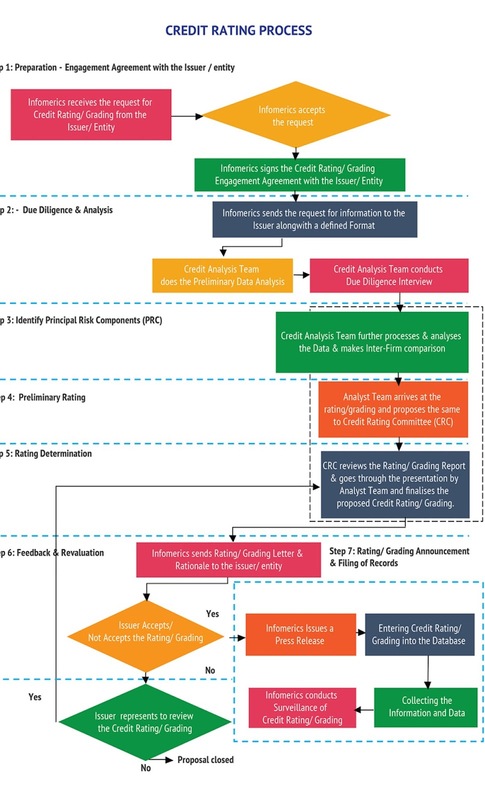 In this article we will study Process of credit Rating and Credit rating agencies in India. We will discuss about process of credit rating and how it help investors. Also we’ll discuss about credit rating agencies in India. The Credit Rating Agencies (CRA) is one of the capital market intermediaries. It is a body corporate, which is engaged in the business of rating of securities according to company performance and offered by way of public issue or right issue. Investors: It helps investors to invest on high ranked company who having less risk and build confidence among investors. Issuers: This enables the issuers of high rated instruments to access the market even during adverse conditions. Intermediaries: Credit Rating also helps intermediaries like merchant bankers, brokers, etc. Credit Rating helps merchant bankers in pricing and maintain of lower risk. Regulators: In India, the main regulator related to securities market is SEBI and one of the important functions of SEBI is to protect the interest of investors in securities market. – A body corporate having net worth of ₹100 crores in each of the immediately preceding 5 years. so we have studied about Process of credit Rating and Credit rating agencies in India and if you have any query please let us know in the comments section below.